Management of nonprofits is a complex endeavor knit together by a strong vision and value set. Very little in management ought to be value- or vision-neutral, and all of it is informed by context and capacity, so we try to capture these nuances in our articles on the topic. These particular stories were first published this year, among many others from 2015 that are just as worthy. 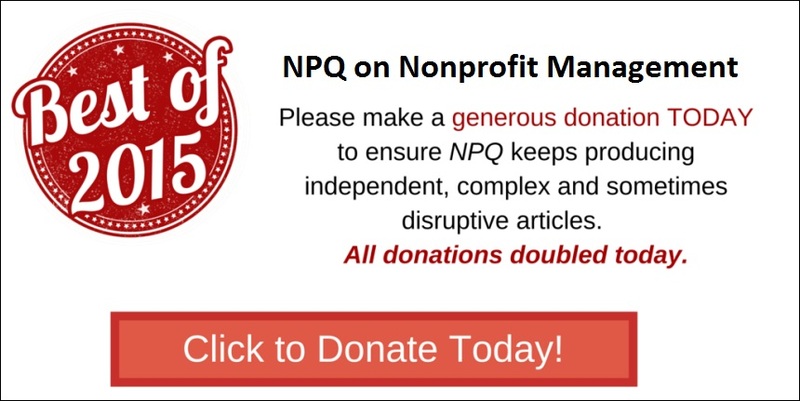 But, NPQ’s archives include articles previously published that have only gained readership year over year—so if these interest you, look back!